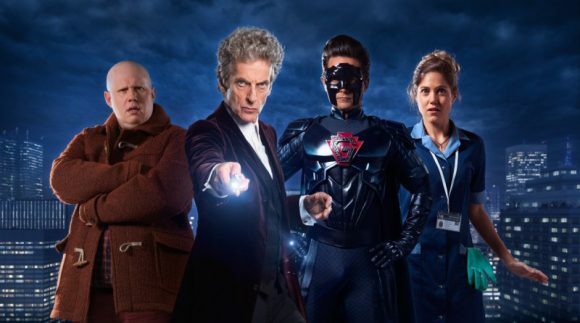 Prime will screen the newest Doctor Who Christmas special virtually the same day as the BBC. The Return of Doctor Mysterio will air 7.30 on Boxing Day in HD, barely within 12 hours of the UK broadcast. Christmas Week also is when Prime will screen the free-to-air premiere of season two of Fear the Walking Dead, which it will strip around 9.30 weeknights from Boxing Day. Prime’s other highlights for Christmas Week include 7.00 weeknight re-runs of season seven of Modern Family, the documentary Seventy With a Six Pack (8.30 December 29), and the Ben Stiller movies Night at the Museum (7.30 Christmas Eve) and There’s Something About Mary (9.45 Christmas Eve). This will look just wonderful in SD … not. The doctor hasn’t been missed, the last series was awful, the coming series doesn’t hold much hope of being any better. If you view Prime on Sky’s platform, it will be in HD. I thought that the last Doctor Who series was very good. We will be watching this Christmas special in HD on Prime. Really looking forward to it.